Kris Lees has reverted to a proven formula with Le Romain for his $13m The TAB Everest bid at Royal Randwick on Saturday. He has opted to put winkers back on the six-year-old, whom Glyn Schofield will ride in the world’s richest turf race. Le Romain, one of three representatives Lees has in the second running of The TAB Everest, hasn’t raced since finishing a gallant second to Winx in the Group 1 wfa George Main Stakes (1600m) at Randwick on September 15. Sixteen of Le Romain’s 29 career starts have been at Randwick, and he has won five times there (including two Group 1s) and notched seven placings. His 1200m Randwick record is impressive, boasting two wins and three placings from six starts, and his wet track prowess stamps him as a definite The Everest prospect. 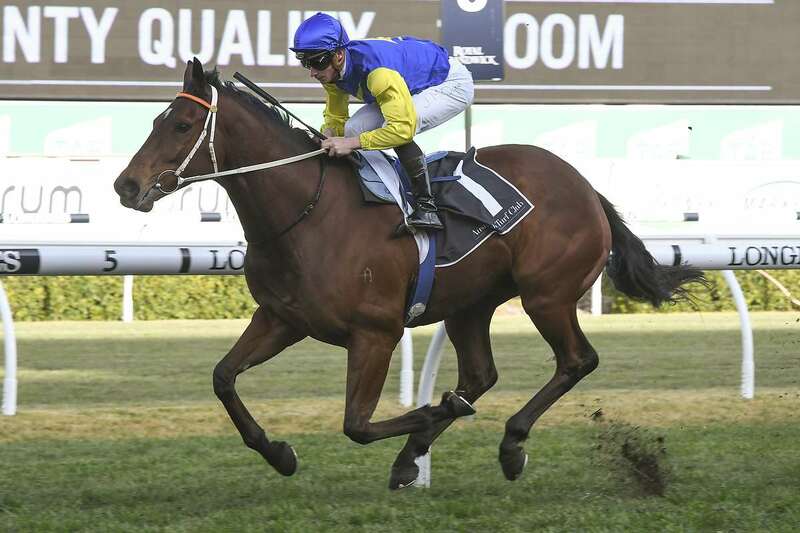 Le Romain’s versatility is such that he has won from 1000m to 1600m at Randwick. Lees also has decided to use ear muffs pre-race on another of his The Everest runners, classy three-year-old Graff (Brenton Avdulla): “Simply to keep him quiet and relaxed,” he said. Le Romain, Graff and his other Everest representative In Her Time (Corey Brown) all galloped separately wide out on the Newcastle course proper this morning. Lees also has three runners – Clearly Innocent (Hugh Bowman), Tactical Advantage (Avdulla) and Dal Cielo (Schofield) – in The Everest “consolation”, the $500,000 Group 3 Sydney Stakes over the same course. Osborne Bulls, who was to have contested the Sydney Stakes, has been drafted into The Everest as a late inclusion for stablemate Home Of The Brave, who was ruled out with an elevated temperature.